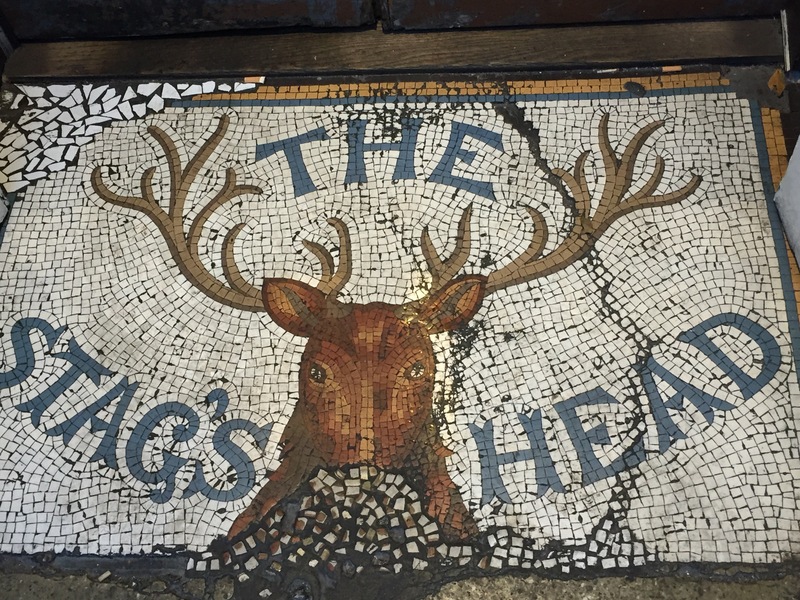 The Stag’s head is now The Other Place; the mosaic is on floor at entrance. 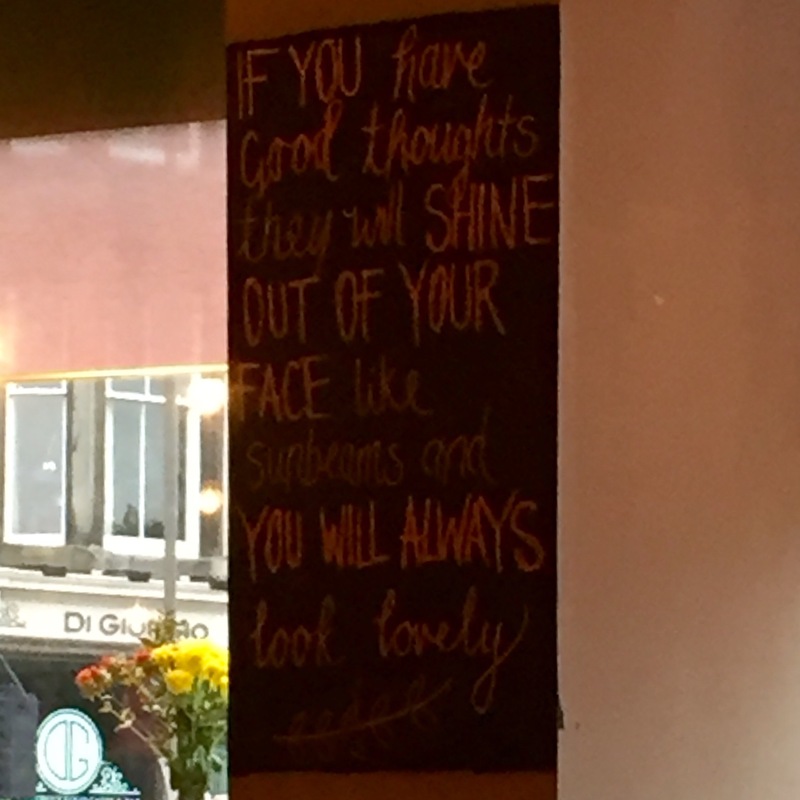 The chalkboard is in Earthy, a local organic restaurant and grocery. 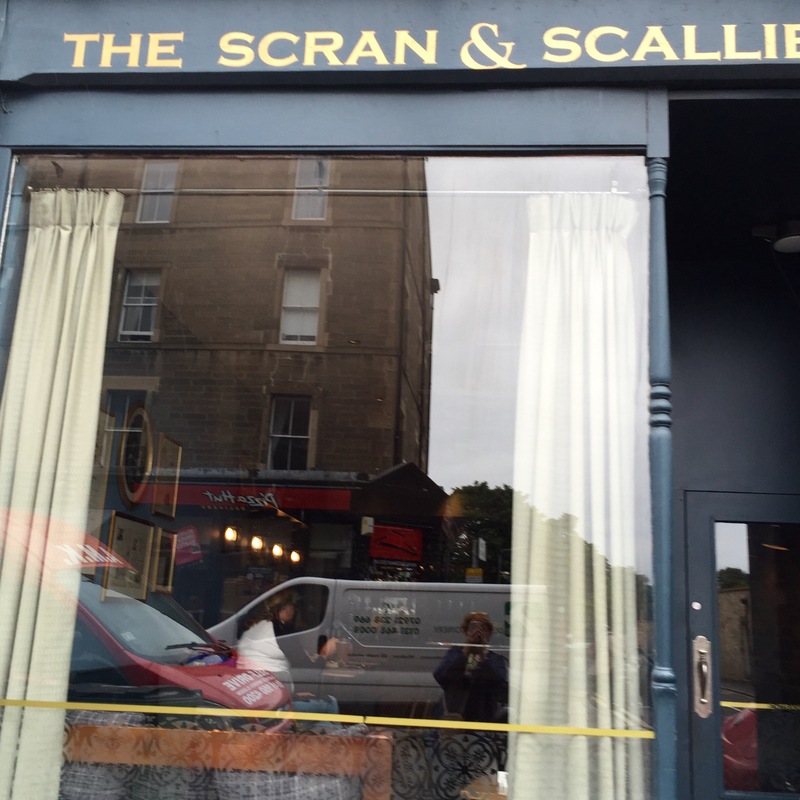 We ate wonderful fish and chips and fish pie at the Scran and Scallie in Stockbridge, and mussels and steak tartare (Mickey) with Emily and Katie at L’escargot bleu, and cheeseboard at the downstairs Pickles (voted #1 on Trip Advisor). 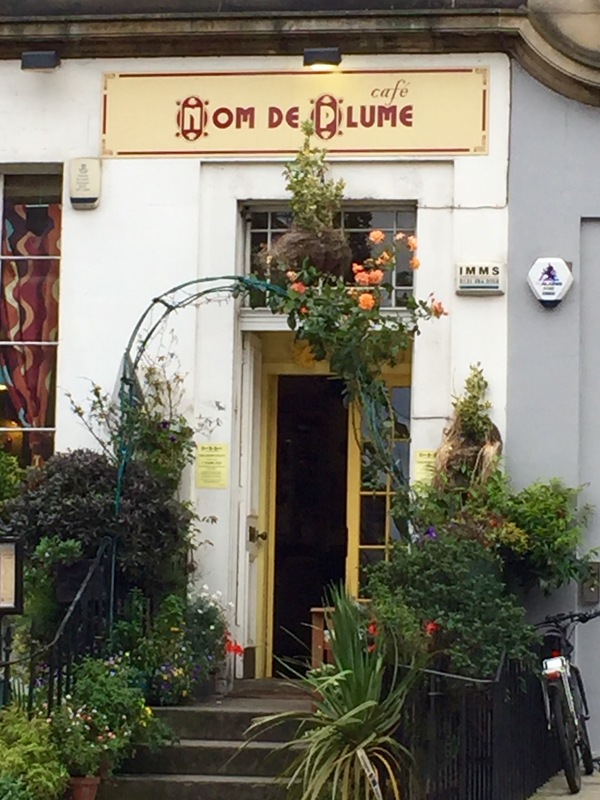 We never ate at Nom de Plume – maybe if there’s a next time…for last lunch we went to the Olive Branch, but forgot to photo. 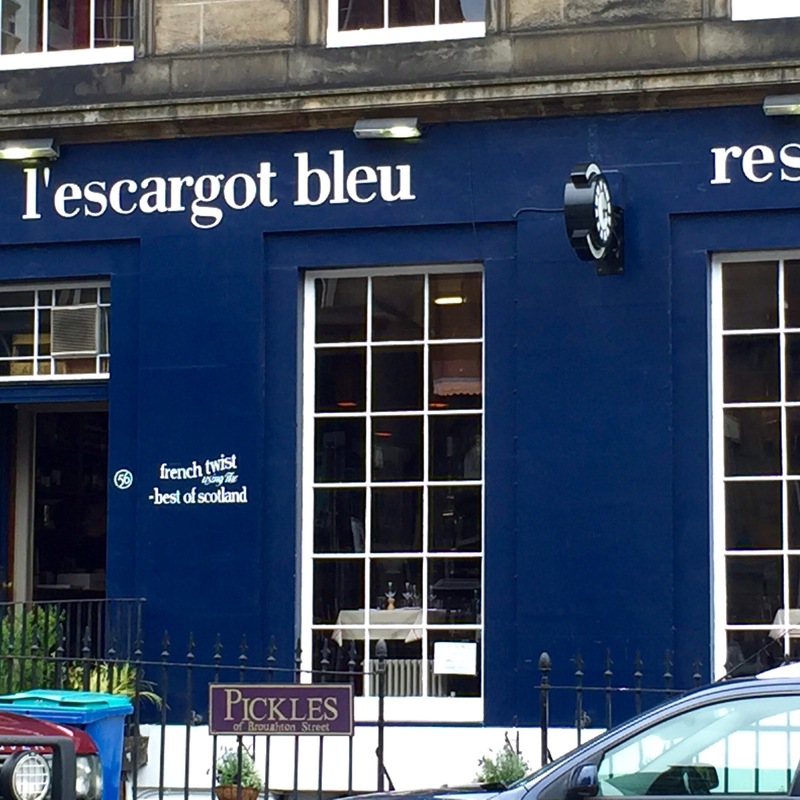 It is a wee place we enjoyed last year when we stayed on Forth Street. 05 Aug	This entry was published on August 5, 2016 at 6:53 am and is filed under Uncategorized. Bookmark the permalink. Follow any comments here with the RSS feed for this post.